Built on a vision seeking to reflect the best of Arabian hospitality, with a special focus on culture, warmth and generosity, Etihad airways is also a symbol of Abu Dhabi, an airline which the Emirate hopes will enhance the prestige of Abu Dhabi as a centre of hospitality between East and West. 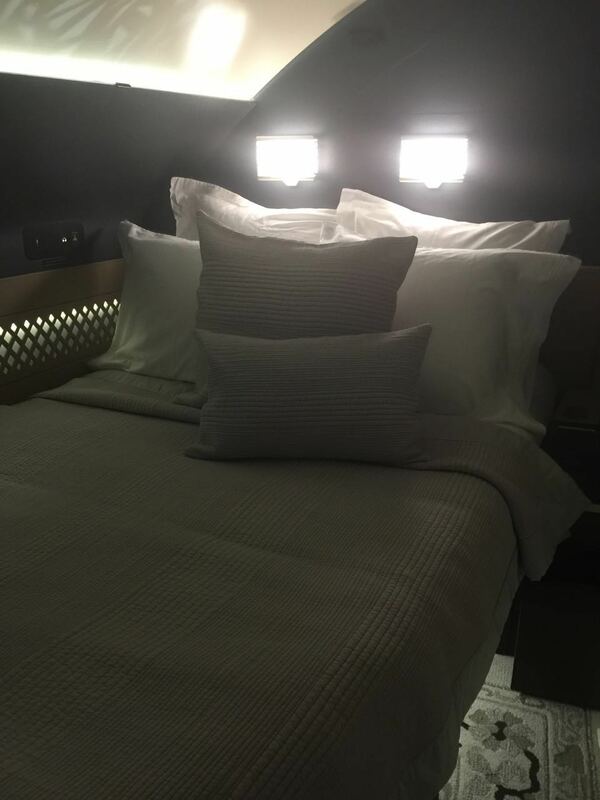 Although we were not booked to fly in ‘The Residence’, we were welcomed on board the Airbus Etihad A 380, like we were royalty. Laveena and I were shown to our respective First Class ‘Apartments’ and were helped to settle in by our charming dedicated butler and F&B manager Irina Adam, who introduced us to the many luxurious features onboard. Laveena loved that the apartment had a private vanity unit and a 24 inch HD TV. I was thrilled just to be traveling in such comfort. 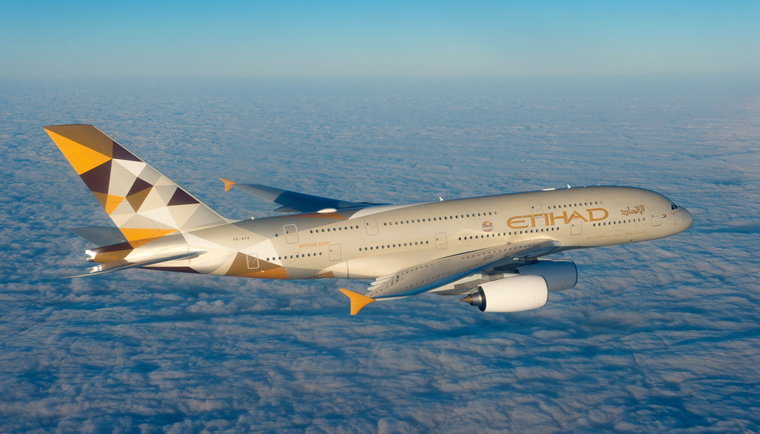 I could see why Etihad Airways, in December last year, won Air Transport World’s ‘2016 Airline of the Year’ award. 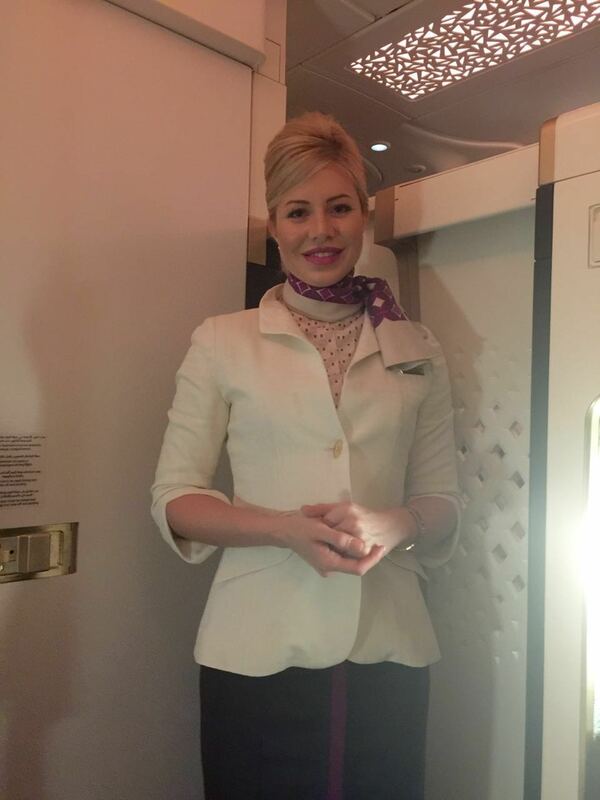 Before we took off, Irina, with her radiant and warm smile, handed me the First Cellar menu. With its fine choice of wines and Champagnes, I asked for a Bollinger La Grande Annee 2005 while Laveena ordered the Duval Leroy Rose. Once airborne, our in-flight Chef came by and introduced himself. He recommended the scallops with apple and cauliflower puree but added that he would be delighted to create any bespoke dish for us using the a la carte ingredients. For me that was a first and I was suitably impressed. For the main course I chose ‘the authentic gulf lamb biryani’ and to accompany my dinner, I asked for the 2010, L’Hospitalet De Gazin, Pomerol, Bordeaux, a medium bodied merlot blend red, I had tried once before and loved. I decided to skip dessert in the apartment but later during the flight, I did visit the lounge with Laveena to try the Baklava and the Vanilla Cheesecake. After dinner, Irina invited us on a private tour of ‘The Residence’. 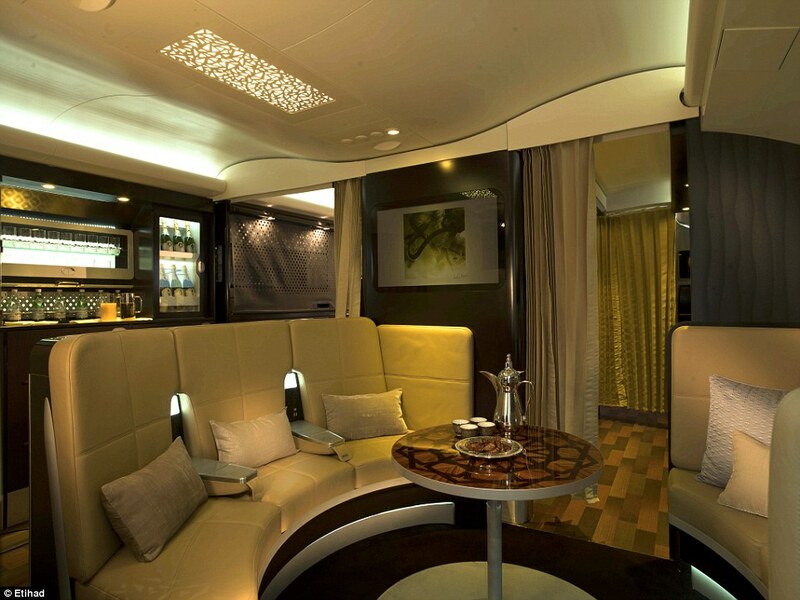 There are nine Apartments and one residence aboard the A 380. The Residence seats two. Irina said that since ‘The Residence’ wasn’t occupied, she would be happy to show us around. As the four engines on our double-deck, wide-bodied jet airliner roared on the outside, we could hear only a faint hum within the aircraft as we walked past the other apartments, to the exquisite private 3 room suite in the sky, made world famous by the sophisticated and beautiful Nicole . We were astounded at the grandeur and sheer magnificence of the interiors of ‘The Residence’. Irina told us that guests in ‘The Residence’ were served in elegant Vera Wang glassware and Bernadaud Porcelain China. She said the silky soft and rich linen which adorned the ‘bed in the clouds’ was from Pratesi of Italy. The in-flight entertainment service was available on a 32 inch HD TV screen with a smaller TV in the bedroom. The private en suite bathroom with a shower offered guests an exquisite array of Aqua Di Parma toiletry products. When we returned to our Apartments, our beds were turned down and we were ready to call it a night. I changed into my PJs, booked my shower time in the clouds and retired to bed. But before I switched off my private apartment lights, I decided to watch Ron Howard’s, ‘In the Heart Of the Sea’. Not a very wise decision, as the film was the only thing which was a dampener, to an otherwise extraordinary and definitely remarkable experience in the sky. 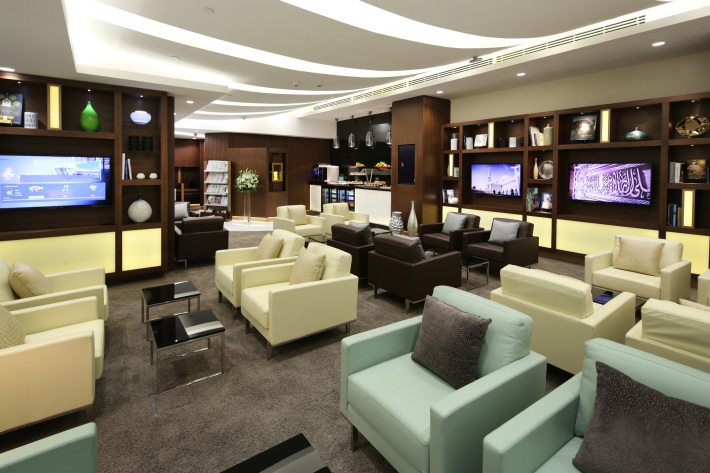 The Newly Opened First Class Lounge at Abu Dhabi : We could not have asked for a better welcome. 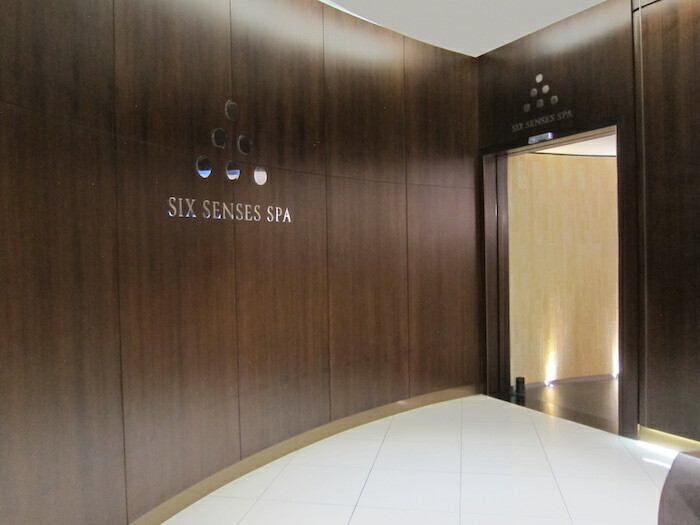 We were greeted by Khun Natcha, an enthusiastic Thai hostess who asked if we would like to opt for a treatment at the Six Senses Spa. The lounge is indeed elaborate and tastefully done up in earthy colours of creams, greys and browns. Style & Shave barbers, a nail bar, a TV room, a secluded relaxation room which Laveena and I spent most of our time in and a children’s playroom make up the newly opened lounge. I found the service in the lounge to be highly personalised and almost intuitive. I was informed that the lounge featured a General Manager, Concierge, Maître d’Hotel, Savoy-trained Butlers, chefs and mixologists among its highly trained lounge team. 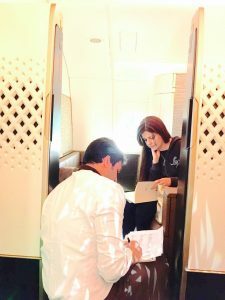 Having had my fair share of champagne and wine on flight, I settled for a mocktail from the bespoke cocktail menu which has been specially developed in partnership with leading London-based beverage consultancy Fluid Movement. The signature drink I asked for was the ‘Abu Dhabi’, an interesting blend of Middle-Eastern flavours including an aromatic cold brew coffee infused with cardamom and sprayed with delicate rose water. I was also impressed with ‘The cigar lounge’ which provides a choice of nine carefully selected brands including Hoyo de Monterray, Cohiba, Bolivar, Montecristo, Arturo Fuente and Romeo Y Julieta from its own humidor. The hostess informed me that each has been expertly matched with a number of whiskies and cognacs. A special thank you to Ms. Judith, the wonderful lady who manages the Etihad lounge at Heathrow terminal 4. Meticulous in her manners, she clearly is very committed to her job as was evident from the respect she enjoyed from her staff and her careful attention to detail. Sensitive to Laveena’s gluten allergy, Judith arranged for more than a few gluten free treats for Laveena while directing her very well trained team to cook up a delicious hot breakfast for us, ahead of our return journey home. 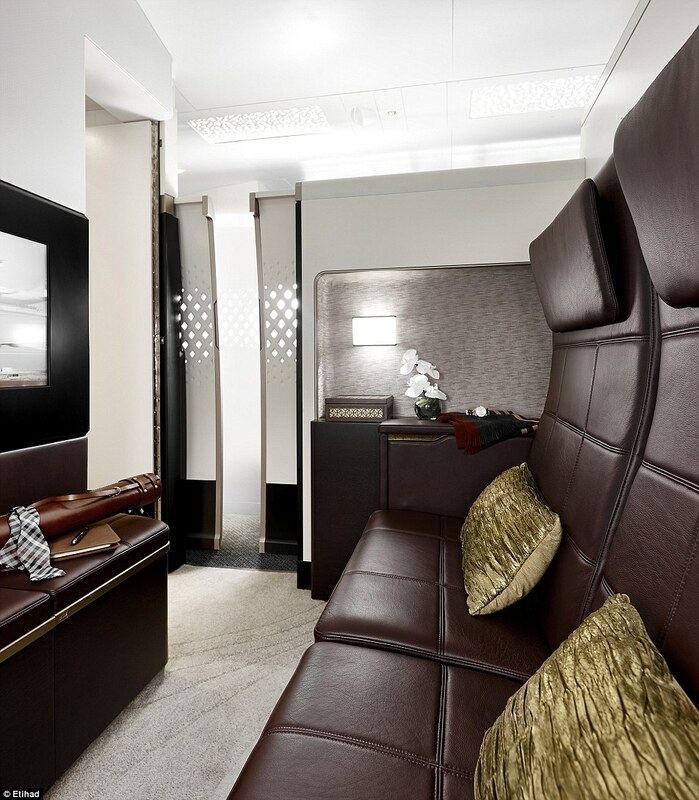 The interiors of A380 really are very impressive. I can call it a flying hotel…truly world class service! Nicole Kidman was the right choice in endorsing Etihad!! 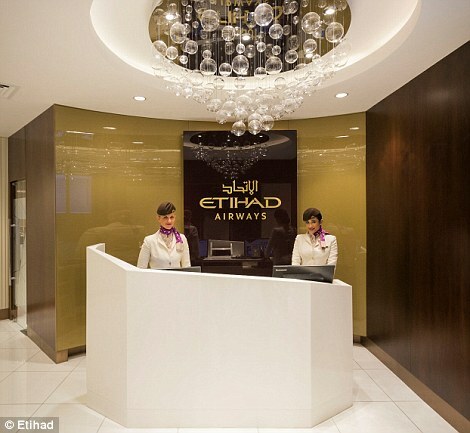 I’m going to definitely try Etihad the next time! I did not know that it was this luxurious!!! Etihad is now getting a reputation of giving good service. The interior looks less of an airplane and more of a hotel. You can hardly recognise it. 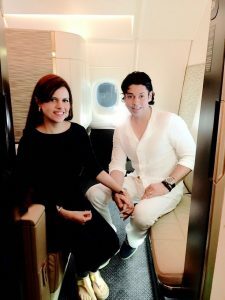 I’m sure there would be many people who would be lost in the service and luxury until the pilot or air hostess announces – please be seated and fasten your seat-belts!!! Utterly magnificent! I’ve always hoped to fly with Etihad Airways some day and your blog has only reawakened my desire to do so! Travelling is a dream right now . Through your eyes the dream gets more and more beautiful….